Mix thoroughly. 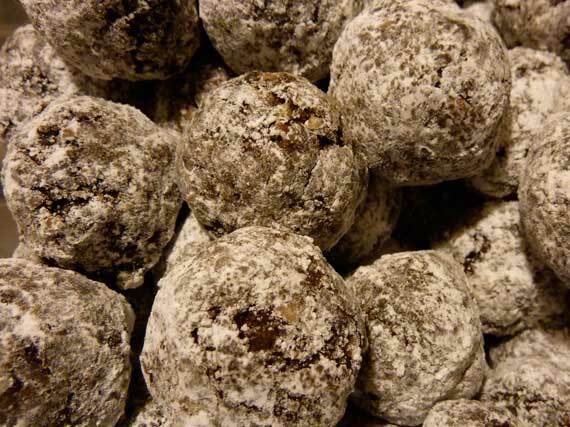 Roll mixture into small spheres; dredge in powdered sugar. These treats are best if you can stash them in a sealed container for a day or so before feasting. Realistically though, good luck with that! Remember: finely crumb the cookies. * If you have 11 ounce boxes, either ignore or add another ounce of pecans.